Artist/Author : Watling, D. and J. Atherton. 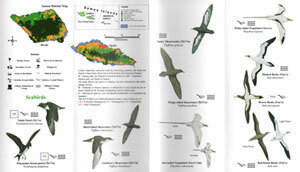 Conservation International, Laminated concertina ten fold card, colour illustrations. Extinction and biogeography of tropical Pacific birds. This title is not held in stock but we are happy to supply on special order. Please contact us. 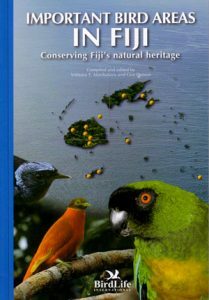 With a study of the landbirds of tropical Pacific islands – especially those from Fiji eastward to Easter Island, this title offers a history of the patterns and processes of island biology over time. It aims to correct the assumption that small, remote islands were unable to support rich assemblages of plants and animals. Sprinkled across the tropical Pacific, the innumerable islands of Oceania are home to some of the most unique bird communities on the planet, and they sustain species found nowhere else on earth. Many of the birds that live in this region are endangered, however; many more have become extinct as a result of human activity, in both recent and prehistoric times. Reconstructing the avian world in the same way archeologists re-create ancient human societies, David W. Steadman – a leading authority on tropical Pacific avian paleontology – has spent the past two decades in the field, digging through layers of soil in search of the bones that serve as clues to the ancient past of island bird communities. 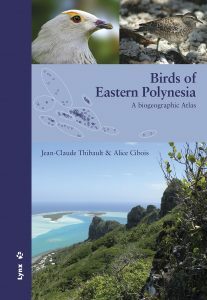 His years of indefatigable research and analysis are the foundation for “Extinction and Biogeography of Tropical Pacific Birds,” a monumental study of the landbirds of tropical Pacific islands – especially those from Fiji eastward to Easter Island – and an intricate history of the patterns and processes of island biology over time. 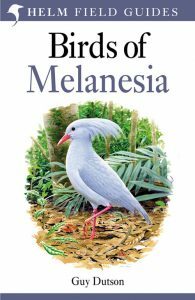 Using information gleaned from prehistoric specimens, Steadman reconstructs the birdlife of tropical Pacific islands as it existed before the arrival of humans and in so doing corrects the assumption that small, remote islands were unable to support rich assemblages of plants and animals. Easter Island, for example, though devoid of wildlife today, was the world’s richest seabird habitat before Polynesians arrived more than a millennium ago. 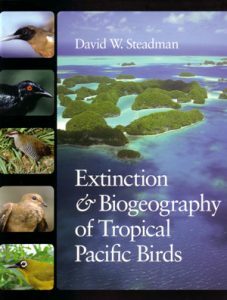 Grounded in geology, paleontology, and archeology, but biological at its core, “Extinction and Biogeography of Tropical Pacific Birds” is an exceptional work of unparalleled scholarship that will stimulate creative discussions of terrestrial life on oceanic islands for years to come. Also available in hardcover [stock id 24738].